Herbert Victor Graves, “Bertie” began life in the village of Southburgh, 6 miles south of Dereham. He was born in 1912. His father was a farm labourer but this wasn’t a career Bertie was keen to pursue himself. Instead, after leaving school, he helped out at a bakery in his home village, run by owner, Charlie Brown. Though Bertie requested an apprenticeship, unfortunately Charlie couldn’t oblige and instead, pointed Bertie in the direction of Briston, 25 miles north, where his boss knew of a suitable vacancy. Around 1928 Bertie, aged 16, arrived in Briston, with just his clothes, trusty bike and 3/6d. 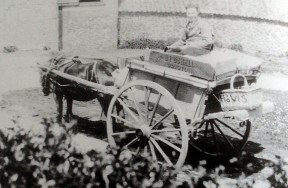 He began working for Mr Bushell the baker of Melton Road, Briston. Around this time, Bertie met his future wife, Eleanor (whilst on his Bakers round). Eleanor was a local girl, born in the Hunworth Bluebell public house. Bertie would go on to work for Roses the Bakers on Melton High Street and after that, Warnes the Butchers on Gordon Road. Bertie could now boast two sets of skills; both butchery and bakery. With the onset of WWII, Bertie’s career was abruptly ended. He joined the RAF and went on to spend the next 6½ years abroad (3 years of this in Italy). Meanwhile back in Briston, Eleanor was alone and raising their 3 very young children, Phyllis, John and Marion. They lived in a small cottage on Church Road (Aubrey Terrace). John can remember the three children all sharing a single room (“if a bomb drops on us, they’ll take us all out in one go”). Harry Pilch ran a small butchers shop at Gladstone Place (where the H.V. Graves Butchers shop is still located today) and his daughter, Mrs Ream mentioned that her father was looking to retire. 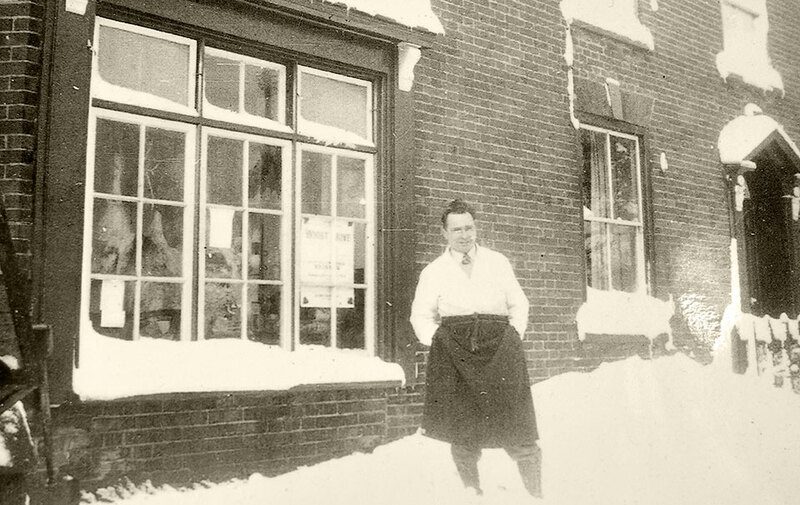 There were actually 4 butcher shops operating in Briston at the time and this was the smallest of them. 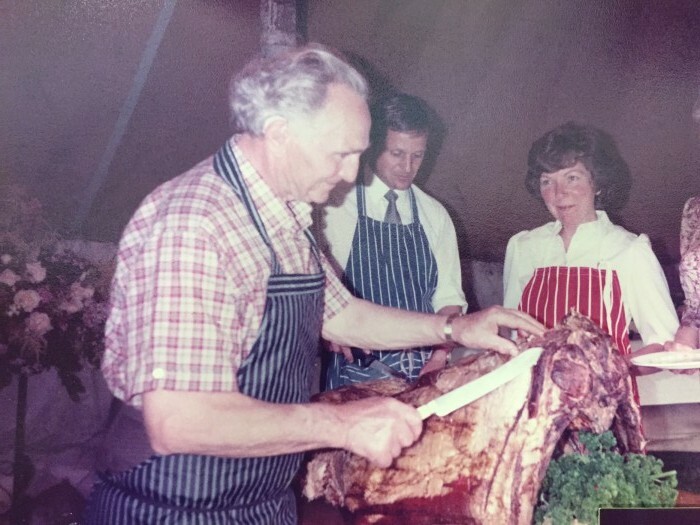 Bertie grabbed the opportunity to put his butchery skills back into practice and H.V. Graves Butchers was born. The family moved into the house behind the shop. John remembers how you had to walk through the front room through to the shop with sawdust getting everywhere (sawdust was commonly sprinkled on butchers floors in those days). These weren’t easy times. Rationing was still in force which made it very difficult for Bertie to acquire the supplies he needed. Sales were driven by ration coupons which families could only spend with their appointed supplier. Shopkeepers were provided with just enough food supplies for their registered customers. As a small butcher and with very few coupons appointed to him, business was initially slow. 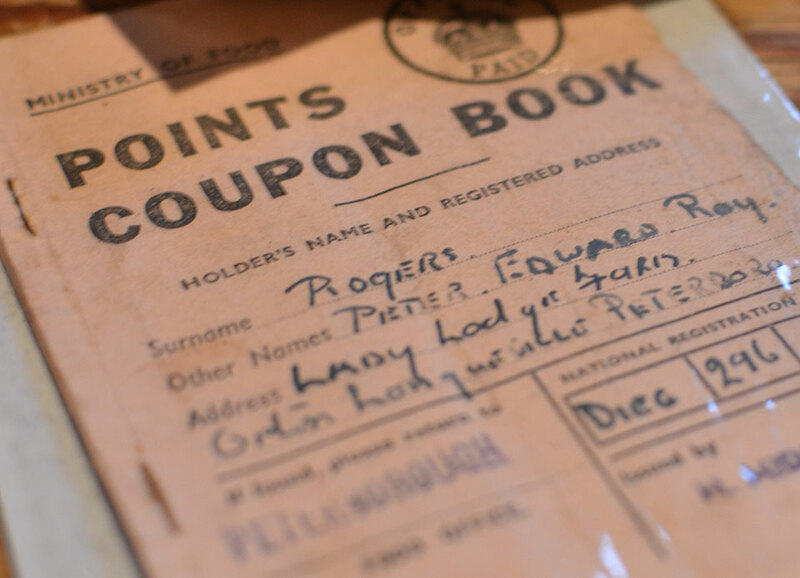 The turning point came for Bertie when families were permitted to change their appointed supplier/shop for their ration coupons. Bertie had become a very popular character in the village and his fortunes suddenly improved drastically when more and more new customers came to his shop. Business was also helped by Bertie’s willingness to diversify and to trade with local suppliers for extra food items such as chickens and rabbits (which weren’t rationed). 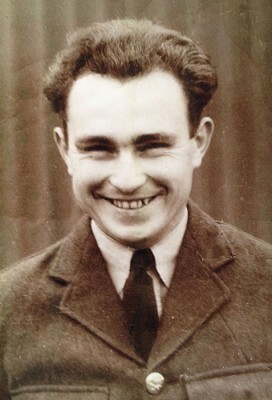 He nurtured local connections wherever he could and his relationship with the village of Briston flourished. All in all, Bertie would bend over backwards to assist others, whenever he could. Later on, Bertie would also teach his grandchildren, Karl and Paul, the same skills and they wholeheartedly embraced the business, eventually taking over from Bertie. In the meantime, the business continued to grow. It seemed a sensible move to buy the cottage next door to the butchers in 1982 (opened as the Bakery in 1991). The Briston Stores was purchased around 1980, when the previous owner retired. 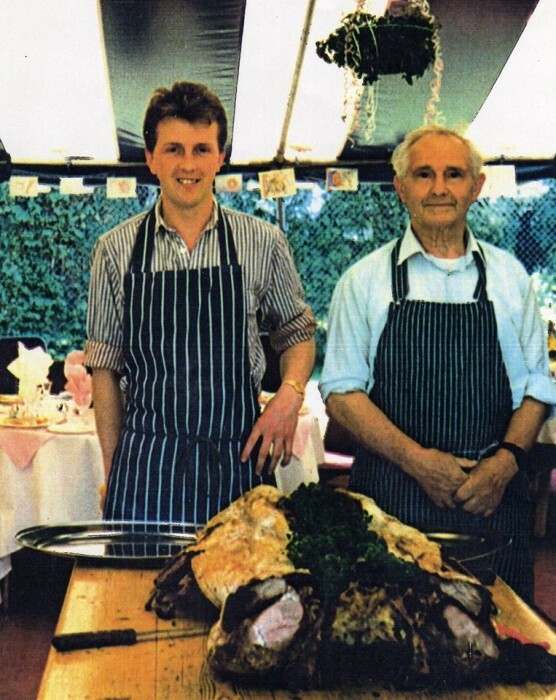 Karl and his grandfather, Bertie would eventually launch their renowned Hog Roast service in 1993, producing an end product which would combine the best qualities of both the butchery and bakery. The year 2000 would see the arrival of the Pineview Caravan and Campsite nearby. Bertie continued to assist with the business until he died aged 87 years, in February 1998. As they say, ‘the rest is history’ and the business continues to blossom, with a whole new generation of the Graves family already working hard to take it into the 21st century.